Do You Agree With This Man? His main sell­ing point to Democ­rats is that he has the courage of the party’s cur­rent con­vic­tions. His an­i­mat­ing concern is in­come equality, and his so­lu­tion is much higher taxes. He’d raise in­come tax rates, lift the income cap on the pay­roll tax and im­pose a death tax sur­charge, for starters. Is this the way you see America, as Greece? Do you believe higher taxes will close the income gap? Do you want a country where your financial security and total income is based on government largess and “free” stuff paid for by other Americans? Do you really believe that a government taking more and more in taxes and filtering it through a bureaucracy into a variety of programs is economically best for Americans? 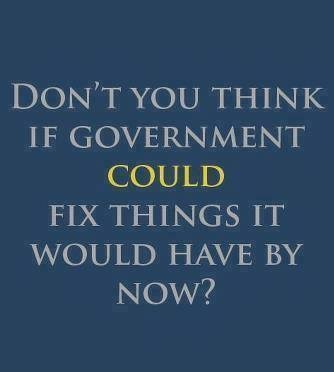 And most important, do you believe that a population dependent on government can sustain the competitive edge, the fire and drive necessary to today’s world? If your answers are, yes … please explain why, please. What’s the right thing to do about public employee pensions? Since it doesn’t say who “he” is, I can’t verify whether or not it’s a factual representation of “his” views, or a lie. That makes it an impossible question to answer. My bad, I assumed readers would easily identify Bernie Sanders. I thought some of it was, but I really couldn’t tell if the “he” referred to the graphic, or the body of the article, or to someone else. I don’t track politics that closely.